In Part I of our first article on Charles G. Finney's theology we set forth some of the main divisions of his theology. These included (1) The Centrality of God's Government and of God's Moral Law, (2) The Duty of Man to Keep God's Moral Law for Salvation. Obviously, we saw that salvation for Finney is not by grace through faith in Christ and His work for the sinner, but by the keeping of the moral law of God with perfection. That leaves some serious further questions about how Finney defines the major words and doctrines of the Bible, which orthodox Christians use to define the work of Christ and the salvation of man. This part of our analysis will deal with some of those words and areas, particularly his view of the atonement, as we get into the heart of Finney's further heresy. God writes the law in a man's heart by the Holy Spirit, and the Holy Spirit [at salvation] sets up and continues His dominion in the heart and begets the love required by the law. Faith then receives and confides in the Holy Spirit and consents to be governed and directed by Him. But the Spirit can have influence on a man no further than that man has confidence in the Spirit and consents to be governed by Him. Or to put it another way, God must uphold His moral law in some manner, if He is to dispense with the penalties of the breaking of the law by sinners. Either the soul that sinneth must die according to the letter of the law, or a substitute must be provided in accordance with the spirit of the law – a substitute which shows the full satisfaction of public justice and God’s full determination to support His law. God has an absolute abhorrence of all violations of the precepts of His law, and it is only when these conditions of a substitute are fulfilled in some way, and when the sinner has returned to full obedience to the law of God, that the penalty of God's law can be set aside. Notice salvation is dependent not only on the death of a substitute, but also on a man's full return to a continuing committal to the law and a continual keeping of the law. Thus, the substitute cannot be effectual to save a man without a man fully keeping the law continually! It is then and only then, when both a substitute has been made and a man comes to a continual and full obedience to the law, that the sinner has and can continue in salvation – then and only then will public justice demand that the penalty of the law be set aside. Finney says that natural theology can teach us that man's human nature is in a fallen state, and that the law of selfishness is ruling men and not the law of God. Natural theology (we don't need the Bible here) can teach us that God is benevolent (love), and hence mercy must be an attribute of God. Natural theology can teach us that no atonement was needed to satisfy any implacable [unforgiving] spirit in the divine mind [no satisfying of God's wrath which burns with sin is needed]. Natural theology can tell us again, that God is sufficiently and infinitely disposed to extend pardon to the penitent, if this could be wisely and safely done – thus Finney’s is a non-propitiatory and even an anti-propitiation view of the atonement. Natural theology, again, can teach us that sin cannot be pardoned under the government of God upon condition of repentance alone – that would be a repeal of divine law – man must not just be sorry for his sin, but he must return to complete obedience to God's law. Natural theology can teach us again that many lessons can be taught man by the execution of an atonement by the proper person, who can render to the government a substitute, who will fully answer for the execution of the penalties of the law for sin. Thus, God gave His Son to justify or to render it just for God to forgive sin [as man would return to an obedience of the law – entire sanctification]. Does this mean that Christ satisfied the demands of the law for us? See the next section! This is a clear statement of Finney's – Christ did not satisfy the demands of the law for us, for Christ Himself owed obedience to the moral law for Himself both as God and man. Therefore it was impossible for Christ to perform any works of supererogation – that is the drawing of infinite funds or merit for the sins of others – as far as His obedience to the law was concerned. If Christ had obeyed the law for us, He would not have suffered for us – that is if He had kept the law for us, then His obedience for us would have been a substitute for our obedience, so why then should He have to die for us? And if Christ had obeyed the law then why should our personal obedience be insisted upon as a condition of our salvation? Which is to say that Finney could not believe Christ fulfilled the law for us for that would have ruined his view of salvation by the law! 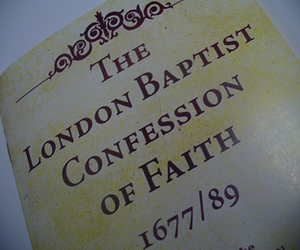 It is obvious from Finney's remarks that he is not Reformed in his theology! But it is also obvious that he did not even possess a broad evangelical view of doctrine! He denies the substitutionary atonement, and he makes the atonement little more than a moral influence of the death of Christ on sinners, in order to drive them to keep the law with perfection, so that they might be saved, not by Christ, but by their own works in the keeping of the law. Finney can talk about Christ and salvation and coming to Christ and the influence of the Holy Spirit upon us, but it is very clear that he does not use those and many other evangelical words of the faith of true believers with a Biblical definition. In many cases today it is rather easy to summarize the position of a theologian in accordance with the various theological categories of the day and of history. This person is an Arminian. This person is a Calvinist. And on and on we could go. But to give a summary sentence placing Charles G. Finney in a certain category is not easy. He could be called a Pelagian in some areas. He could be called an Arminian in other areas. He could be labeled as one who holds to a Governmental or Moral Influence view of the atonement of Christ. But even some of Finney's views would be so different, that some of these common labels we use to speak of one's theology today, cannot be used of him. He could also be called a perfectionist, but again he differs from many of that viewpoint. I am convinced that Finney, like some of the Galatians, held a theology that moved from the grace of Christ to another gospel, which is not another gospel, and therefore we are admonished to treat him accordingly. But I will let the reader judge for himself as we seek to unfold Finney's thinking from his laborious theology book or books (there were several editions of his theology books with some additions to the later ones). A. The center of Finney’s theology is not God as we have seen. God exists, but it almost seems, as one reads Finney, that God is a bystander Who is caught in the moral and legal system which He has set up to rule His world in a proper and moral manner, for that is where Finney begins and ends his theology. God is there, but His law is what guides Him and controls Him and controls all things including man and his actions and his failures and his salvation. B. It is the moral law that rules man’s actions---the actions of a man of free will and free will only. Finney believed that man not only has a free will, but that the sin of Adam did not effect man in his nature at all. The sin of Adam was only a bad example for us. Adam had no nature of sin and neither do we. Thus, man is born with a will that is totally free and each man begins life with a perfect freedom from sin. But as a man's life unfolds, though it could be a possibility that he would never sin, all men do sin by their own choice and not because of any nature of sin within them. God, on the other hand, has placed upon all mankind His moral law along with restrictions and negative sanctions – that is, what God will do if man breaks His law. When that happens (when man breaks God's law), man becomes a lost sinner. On the other hand, when a man keeps God's moral law, God rewards him. But, again, when a man breaks God's moral law, which all men do, he becomes a rebel and sinner against God, and God must punish him with eternal separation from God, unless that man submits himself back to the law of God to keep it with perfection. Thus, the moral law of God and His government are indispensable for God and man to relate themselves for the highest well-being of the universe of moral agents. Plus, God being the Highest Being of the universe, it is God's right to rule His moral government, as He is the best qualified to do so. C. The reality of God as the Highest Being of the universe also demands that all moral agents are to obey God’s moral law and, if there is such a demand, then for the demand itself to be moral man must be capable of obeying the law. There are two points to be noted here very clearly. First, that God demands all men to obey His moral law, and secondly, if God makes such a demand then all men must be capable of obeying God's moral law. This is a first truth of reason – that is, it is such a clear truth that we need not the revelation of God to teach it to us but it is intuitive to all men. law in the theology of Charles G. Finney. consecration to the keeping of the moral law of God. The moral law of God, which man is required to keep, may be summarized by the word benevolence or love – that is the sum requirements of the law! Love is not an emotion but an ultimate choice – the ultimate choice that is required by man towards the well-being of God and the universe. This phrase (well-being of God and the universe) speaks of the intrinsic and infinite value of the highest good, and it constitutes the true foundation of man's moral obligation – to keep God's law of love towards God and His well-being and the universe's, including that of other men. Thus, it is not the grace of God that saves a sinner, but it is his turning from his selfishness to keep the moral law of God, which is a sign of the reality of His love towards God and the universe (including other men around him). Thus this word love is the true spirit and meaning of the moral law, even as it is revealed in the Bible as having two great precepts which are: (1) Thou shalt love the Lord they God with all they heart, with all thy soul, and with all thy mind and with all thy strength, (2) And thy neighbor as thyself. The law does not say we must love the right, the truth or beauty or anything else with all our heart and with all our soul – but we must love God and our neighbor. Thus we see that it is the duty of every man to commit himself with an entire consecration to the keeping of God’s moral law. This is man's salvation! B. Sin then consists of violating the law of God – in choosing that which sets aside the love of God and neighbor, whereby we chose not to live for the Highest Being and good of the universe but to live for ourselves. And here is where the reality of sanctions come in – penalties or rewards – in accordance with man’s compliance or non-compliance to commit himself to the highest well-being of God and the universe. It is impossible to sin while this end of the highest well-being of God and the universe is intended with all the heart and with all the soul. Thus, the person with such a goal will be sinless, as he lives for this goal at every moment of his life. Also, every moral agent can know in every possible instance what is right and what is wrong, so that he will never mistake his duty and responsibility to God. Therefore, again, there can and will be perfection, and by perfection Finney means complete obedience to the law, as he says that obedience to the moral law can never be partial. One cannot partly obey or partly disobey the moral law of God at the same time. This is to say that for consecration (salvation) to be real it must be entire and universal, which is to say again, that the choices have no degree of conformity to the God's moral law unless they are always and necessarily wholly conformed to the moral law of God. Which is to say, also, that it is impossible for us to make opposite choices at the same time! The will cannot choose the ultimate good at the same time that it chooses any other lesser ultimate end. It cannot choose God and sin at the same time. Thus, what consists of being a Christian is the keeping of the moral law of God, not partially, but wholeheartedly and without exception with perfection. This is salvation and holiness for Finney. C. Thus whenever a Christian sins he must for the time being cease to be holy! Yes, this is what Finney says – that whenever a man sins, he must be condemned and he must incur the penalty of the law of God. Otherwise, the law would have had to have been abrogated, which can never be, since the law is constant and demands perfection. Thus, a Christian is justified no farther than he obeys the law, and he must be condemned again when he disobeys the law. When a Christian sins, he must repent and do his first works – come back to perfection – or else he will perish. Until he repents (submits himself anew to the keeping of the law with perfection), he cannot be forgiven. In these respects the sinning Christian and the unconverted sinner are precisely on the same ground – both are breakers of the law of God and are therefore lost and condemned by God. One must remember here that Finney is not speaking of being unborn from a Biblical view of regeneration, but he is speaking from his view of salvation, which says man does not need a new birth within his nature. Man only needs a change of his commitment from sin to the keeping of God's law – only a human commitment not a divine change of nature. Thus, Finney does believe that it is possible to be unborn after one has been born again, according to his definition of the new birth. For him regeneration is not an inward birth but only a change of man's outward actions. Thus, one sin can make one a breaker of the whole law of God and leave man in a state of unholiness again, which means he is now lost. Thus, for Finney failure to keep the law means no holiness and no holiness then means no salvation, and Finney makes it very clear that he means entire obedience to the law – exactly what the law requires and nothing less! Simply put, he says, holiness is holiness, and it is nonsense to speak of a holiness [or a salvation] that consists of sin or partial obedience to God. D. Perfection then is what the moral law of God requires of sinful men in order that they might be or become Christians. 1. There can be no rule of duty but the moral law of God. Finney rejects faith alone as the way of salvation, when he says that some have strangely dreamed that the law of faith has superseded the moral law of God. But this, he says, is a falsehood for nothing can be virtue or true religion except obedience to the moral law of God. 2. Repentance consists in the turning of the soul from a state of selfishness to benevolence – of a turning from disobedience to God’s law to obey it and to walk in obedience to it. Finney says that true repentance consists of the following: an understanding of the nature of sin – it is a spirit of self-seeking – selfishness; a turning from this state to a state of consecration to God and the good of the universe; a sorrow for past sin when it is remembered ; a universal outward reformation – perfection; a hatred of sin; a self-loathing on account of sin; a thorough reformation of heart and life which includes a turning from selfishness to benevolence. full obedience to His law. loving of the truth – the truth of God and to do what God demands. continue to sin moment by moment. Men who profess to be saved by faith without obedience to the law, thinking that grace accounts them as righteous, while they are still continually sinning, are gravely mistaken. 4. The moral law will never ask a man to do that which he cannot do. The moral law will never require more than man has natural ability to do, that is, something inconsistent to his nature, which means that all the moral law asks a man to do he is capable of doing – even keeping the moral law with a perfection. This means that man has the natural powers within himself (aided by the Holy Spirit) to keep the moral law of God, which also means that regeneration cannot mean any inward change of a man’s nature. Man's human nature is not sinful and does not need an inward change. Entire obedience to the law of God is possible only as man consecrates all his power and appetites and susceptibilities of the body and mind to the will and service of God. E. Since love is the spirit and sum of the whole law man needs to understand the attributes of love – we can only list them here. 1. Voluntariness – voluntary love and good will. 2. Liberty – love is a free and responsible choice. 3. Intelligence – the mind makes this choice intelligently. 4. Virtuousness – the moral element of love. 5. Disinterestedness – mind’s choice of an end for its own sake. 6. Impartiality – choosing the good because of its intrinsic value. 7. Universality – choosing the highest good of being in general. 8. Efficiency – a true choice of the highest good of being one has the energy to obey. 9. Penitence – the will’s continued rejection of past sins. 10. Faith – an attitude of love in embracing and loving the truth. 11. Complacency in holiness or moral excellence – tranquil pleasure in holiness. 12. Opposition – love as it expresses opposition to sin. 13. Compassion for the miserable – love in relation to misery and guilt. 14. Mercy – a desire for the pardon or good of one who deserves punishment. 15. Justice – a disposition to treat every moral agent according to his desert. 16. Truth or Truthfulness – truth is conformity of the will to the reality of things. 17. Patience – perseverance or a bearing up under trials of afflictions. 18. Meekness – a sweet and forbearing temper under provocation. 19. Longsuffering – an intense form of forbearance under long and great suffering. 20. Humility – a willingness to be known according to our real character. 21. Self-denial – the denial of self and favor of others in all choices. 22. Condescension – a willingness to descend to the poor, ignorant and vile. 23. Candor – a disposition to treat every subject with fairness and honesty. 24. Stability – the intelligent and impartial and universal consecration to the proper end. 25. Kindness – a tender regard for the feelings and well-being of others. 26. Severity – love manifesting strictness, rigor and purity when necessary. 27. Holiness or purity – moral purity. 28. Modesty – a shrinking from whatever is impure or unchaste or vain. 29. Sobriety – a solemn, honest intention to pursue the highest good of being. 30. Sincerity – the opposite of hypocrisy – a whole-hearted honesty. 31. Zeal – a zeal of benevolence that cannot rest as long as sin is in the world. 32. Unity – being united with God in His goals and purposes. 33. Simplicity – the singleness of love to serve God and not mammon. 34. Gratitude – thanks to our Benefactor and commitment to His will. 35. Wisdom – love directed by knowledge whereby we choose God’s ends. 36. Grace – a disposition to bestow gracious favor on the undeserving. 37. Economy – a love that desires to promote the public good. F. Disobedience to God’s law must consist in the choice of self-gratification as an end. Self-love is the choice to gratify our desires – thus sin is the seeking of self-love or self-gratification and not the good of God and the universe of beings. Thus, sin is the committing of the will to the impulses of our senses or desires or emotions or feelings or passions. Sin or disobedience to the law does not imply a sinful nature or a sinful constitution for Adam and Eve sinned and angels sinned and they had no sinful nature. G. Just as love has attributes so does selfishness have its attributes. 1. Voluntarinessself – begins when the will yields voluntarily to desire. 2. Liberty – the will is at liberty to chose self-gratification. 3. Intelligence – choices are made with knowledge of moral obligation. 4. Unreasonableness – selfish choices are made in opposition to reason. 5. Disinterestedness – the choice of self-good and self-will. 6. Partiality – giving preference to things of self-good or self-will. 7. Impenitence – this is the heart’s cleaving to the commission of sin. 8. Unbelief – this is trusting in self and refusing to trust in God. 9. Efficiency – sin is the thing chosen and selfishness is the reason. 10. Opposition – this is the mind being opposed to benevolence. 11. Cruelty – that state of feeling that takes savage pleasure in the misery of others. 12. Unreasonableness – sin is chosen in opposition to the demands of intelligence. 13. Injustice – preference to others on basis of self-interests. 14. Oppression – a disposition to deprive others of their rights. 15. War – selfishness is a declaration of war on all other beings. 16. Unmercifulness – an unwillingness to forgive sin and practice forgiveness. 17. Falsehood or Lying – a choice of any end which is opposite of the truth. 18. Pride – a disposition to exalt self above others. 19. Enmity – a selfishness in opposition to God and even hatred of God. 20. Madness – a moral insanity of the heart as it refuses to be controlled by truth. 21. Impatience – a resistance or providence and its ways. 22. Intemperance – a committal of the will to the indulgence of our appetites. 23. Recklessness – a carelessness of mind that seeks to gratify self regardless. 24. Unity – selfishness and all sin is a unity with the end being self. 25. Egotism – a disposition of mind that manifests itself in self-glory. 26. Simplicity – a singleness to live for self. 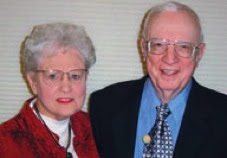 Many of the blog's readers will already be familiar with Dr. Belcher (pictured at left with his beloved wife, Mary Anne), especially since I have written at least five articles in the past about him and his books. Some of the blog's readers may also know that I have prayed that the Lord will provide another contributor to this blog. Well, I am happy to announce that Dr. Belcher, one of my professors in Bible college, and definitely the most formative influence on my own ministry as a pastor and preacher of the Word, has graciously agreed to contribute to the blog. I can't tell you all how excited I am to have any input he is able to offer! I also hope it will be a good way for him to let us all know about the books he is writing and his ministry at Covenant Baptist Church in West Columbia, South Carolina, as well as his passion for ministry to India as the head of Evangelizing India for Christ. He has faithfully preached the Word for over fifty years and has taught at Columbia Bible College for almost thirty years. What is one supposed to do when he teaches in a Christian seminary, which is about to be invaded by clear and undeniable heresy? Yet, the one who is bearing the heresy is a powerful preacher and personality, who most all think is sound in doctrine, because he is a great evangelist, who can get so many “decisions” for Christ! This is the dilemma of Ira and Dink, as they try to open the eyes of others to the danger of this man and his doctrine. Dink even faces a group of the board of trustees of the seminary, who are meeting behind the scenes, to seek to fire Dink from his position at the school, so they can hire this man, who seems to be so sound in doctrine but is not. Follow Ira and Dink, as they face this new challenge of seeking to alert others of false doctrine, when the Christians of the day, and even the preachers around them, seem more concerned and enlightened about getting decisions and numbers and large crowds, than they are about truth and doctrine. 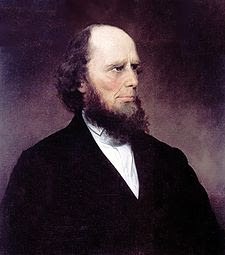 Along the same lines, Dr. Belcher's first post to the blog, Lord willing, will be a brief article on the theology of Charles Finney, a man whose influence on modern evangelicals has been far too great and whose heretical views have been far too long hidden from them. For more information about Dr. Belcher, visit the profile at his church's web page here. 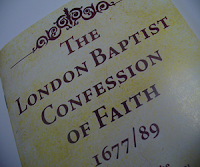 Labels: Baptist Confession of 1689, Calvinism, Church History, Reformed Ministries, What Is a Reformed Baptist?